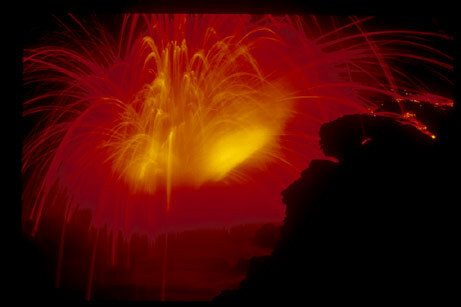 Lava from the Kilauea Volcano, island of Hawaii spews skyward after meeting the sea. Advancing lava destroyed over 100 homes, erasing the village of Kalapana. Michael Quan, "Kilauea's Fury," in POYi Archive, Item #19130, http://archive.poy.org/items/show/19130 (accessed April 18, 2019).